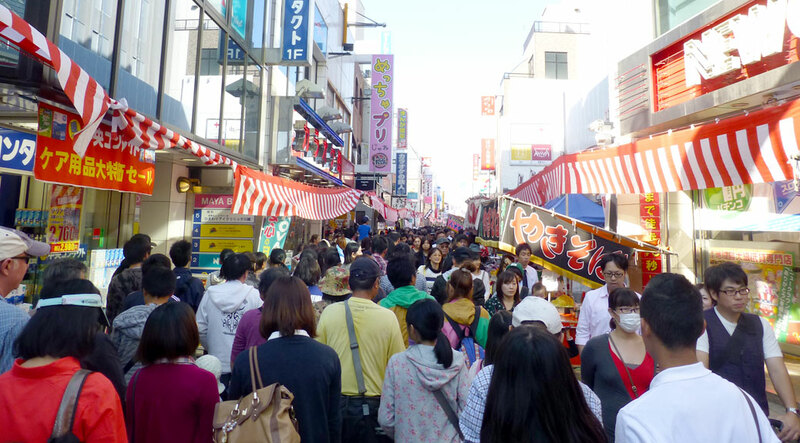 On the third weekend of October, seemingly all of Japan descends on Kawagoe for the Kawagoe Matsuri. And apparently they’ve been doing so for the last 360 years! 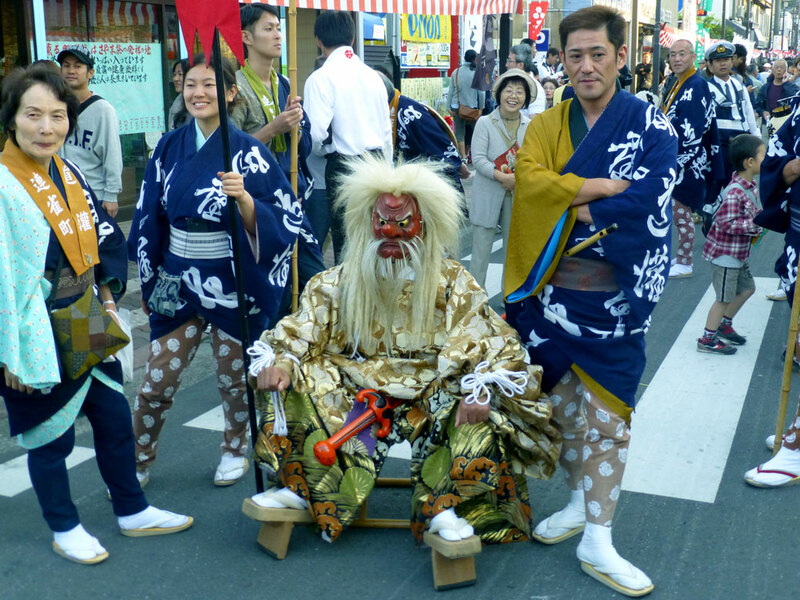 The first Kawagoe Festival was held in 1648 and has evolved over the last three centuries into a magnificent spectacle that engulfs about three square miles of central Kawagoe. 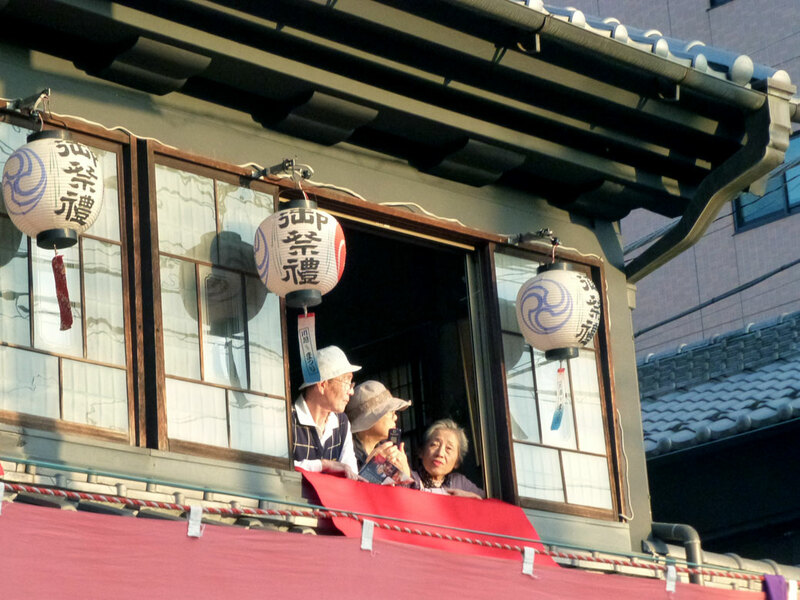 Towering two-story festival floats with oversized “dolls” representing 29 neighborhoods of Kawagoe parade through the streets, a tradition as old as the festival itself. 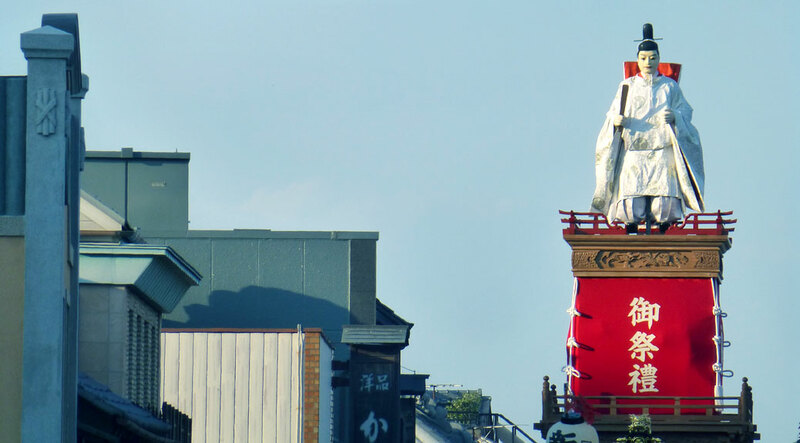 Such an important tradition that, in 2005, Japan named the Kawagoe Hikawa Festival Float Event as one of its National Important Intangible Folk Cultural Properties. The Hikkawase (see video below) is the most impressive part of the event. As the giant floats approach each other on the streets of Koedo, they stop to “battle” one another. 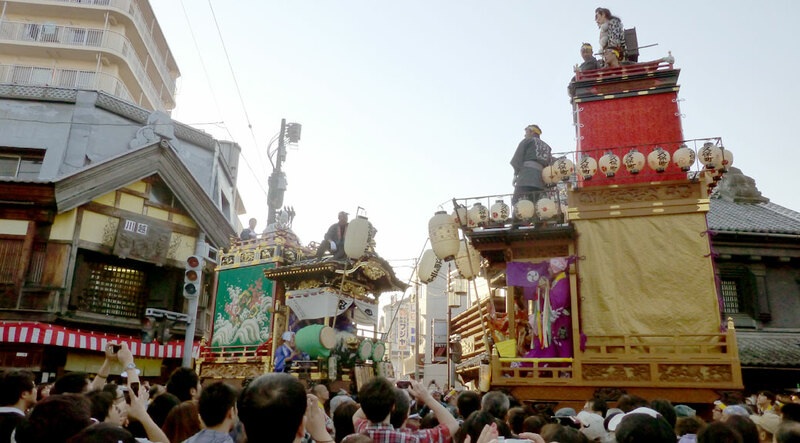 Hayashi groups play traditional music and attempt to get the other float to go off beat. Dancers in hyottoko masks face off with one another in a playful series of dances. Multi-colored okonomiyaki on the griddle. 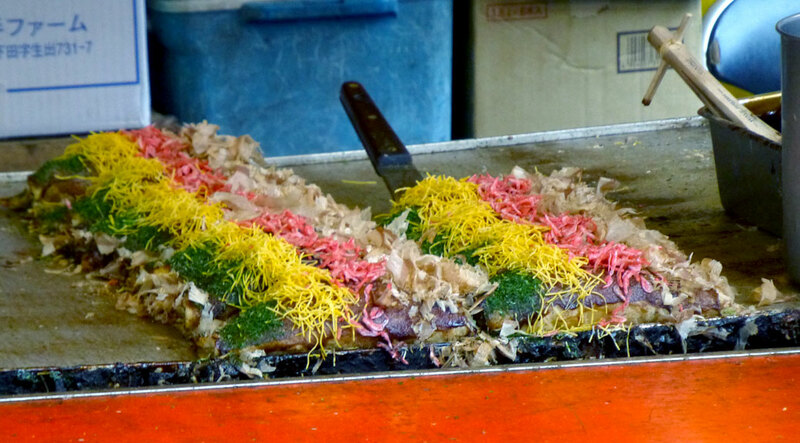 Okonomiyaki is a savory pancake and each region of Japan has its own way of making it. 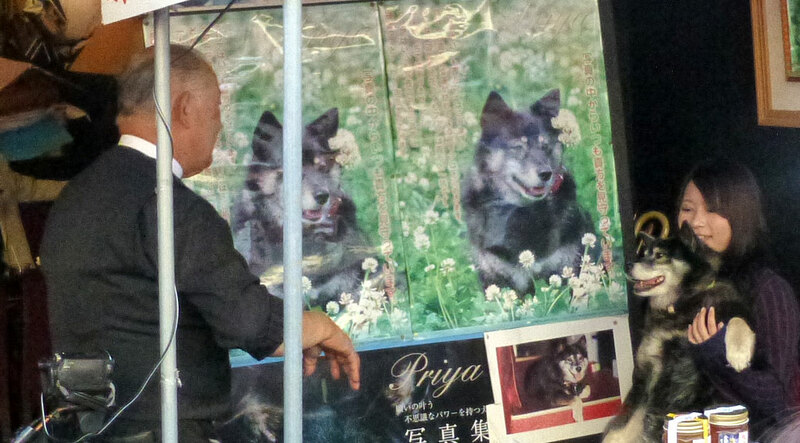 People were lined up to take their photo with Priya. Legend has it that holding Priya will make your wildest dreams come true. 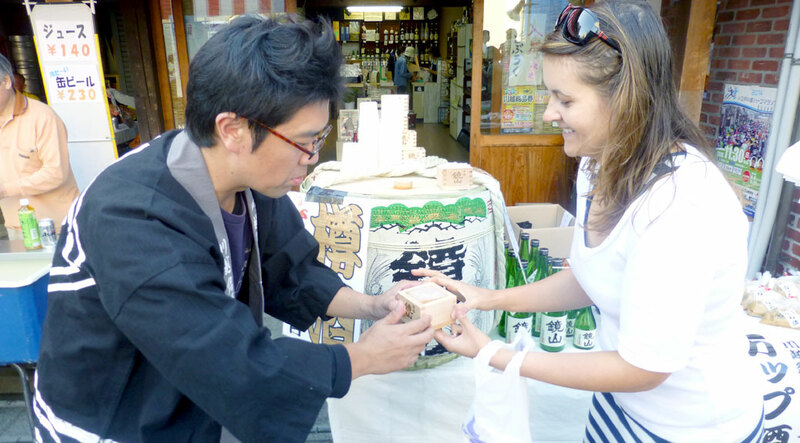 Authentic Japanese sake served in a wooden box (masu). Delicious and potent! 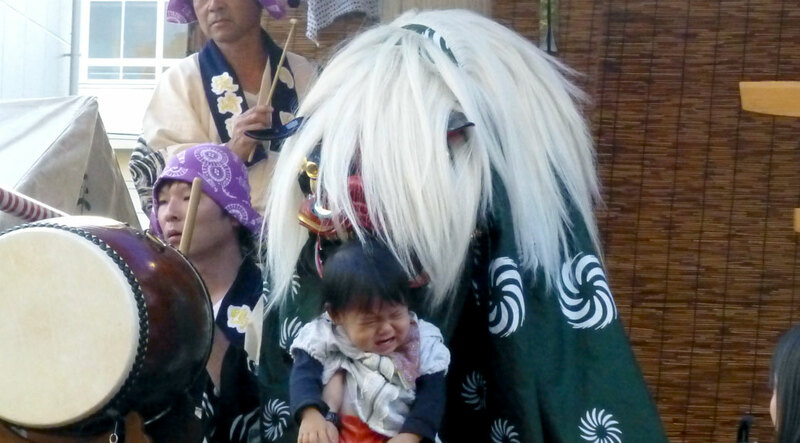 Parents offer up their children for a bite from the shishimai (Japanese lion). The bite brings good luck and intelligence to the child, although they all seem to cry as if they’re actually being eaten.